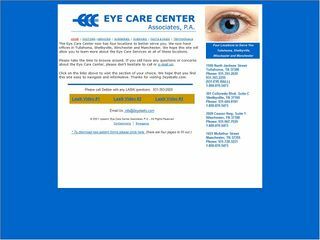 Description: Eye Care Ctr Assoc is a business categorized under optometrists od, which is part of the larger category offices & clinics of optometrists. Eye Care Ctr Assoc is located at the address 1421 Mcarthur Street in Manchester, Tennessee 37355-2517. The Manager is Angela Bell who can be contacted at (931)728-3221.